We are continually updating ClassMax based on feedback from our awesome users, but this last update really made me wish I had this feature last year when I was still in the classroom! Users told us that creating groups was simple with ClassMax, but that it would be so much faster if they could have auto-generated groups from the reporting page. You asked and we delivered, teacher friends! 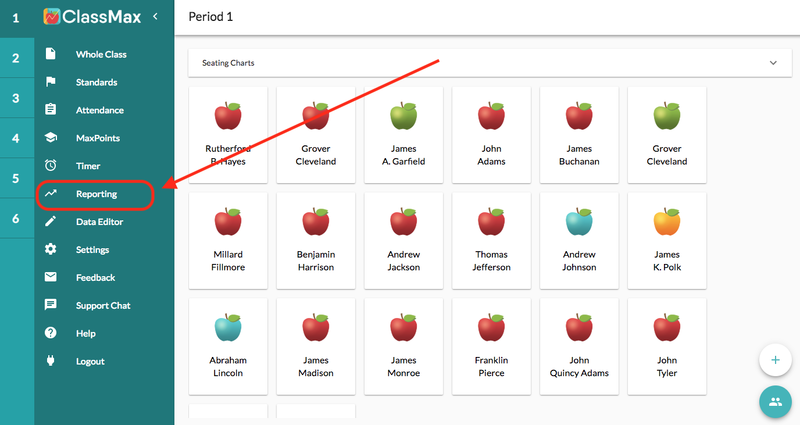 To generate automatic groupings based on learning levels, you first need to go into the reporting menu on the left sidebar of the main teacher dashboard. From here, select your date range for reporting on standards-based progress and then drop down the standard that you want to report on. You should notice that when you hover over a learning level now, you are given the option to create a group. Select this and simply name the group straight from the reporting menu. When you move over to view your groups now, you should see the group that you created from the reports menu. Another new feature with our reports and groups is that you can now run reports by groups of students. This is helpful if you are tracking progress of a specific group of students. For example, let’s say I needed to report on how my ESE students are doing on specific standards. I would simply go to the reports menu, select my date range and my ESE group. From here, I can run the report just on these students alone. This makes it easy to desegregate your data during data chats with administration. Suggested groups might include by ethnicity, gender, economic background, language learners, or targeted students defined by your school or district. For more information on how to use our standard grouping function, check out this blog post. This entry was posted in Groupings Feature, Innovative Uses, Reports. Bookmark the permalink.